Don't forget a souvenir! Check out this shop complete with Put in Bay t-shirts, hats, and much more. 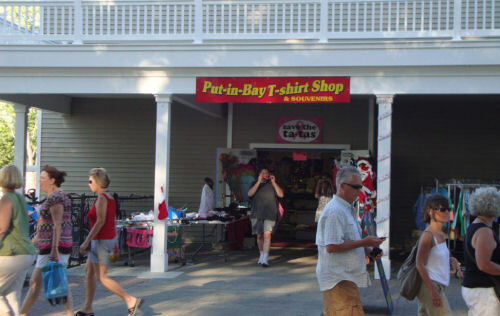 Near the Boathouse Bar and Grill, the Put-in-Bay T-shirt Shop is a must stop for that island flare. They have a great selection of styles and colors available.